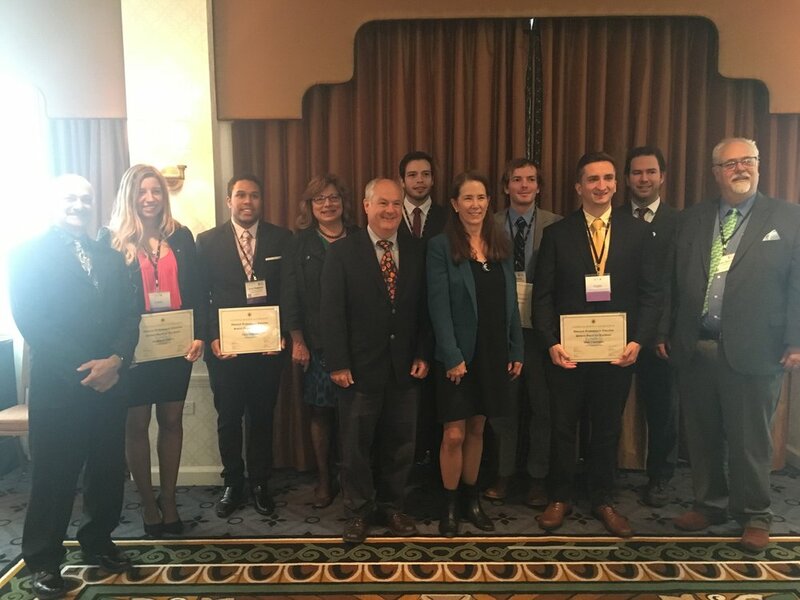 On October 27, 2016, five students that their academic began their academic journeys in Connecticut community colleges received the National Science Foundation’s (NSF) Advanced Technological Education (ATE) Program Recognition Award. Out of 115,000 students in ATE Programs, 67 were recognized during the ceremony which took place in Washington, D.C. during the ATE Principal Investigator’s Conference. These students have successfully transferred from Connecticut community colleges to 4-year universities through the College of Technology’s Engineering Science pathway program. The College of Technology is a model pathway program, which also has Technology Studies pathway, received NSF funding to create the Regional Center for Next Generation Manufacturing (RCNGM), an NSF Center of Excellence. As if completing a degree in engineering isn’t hard enough, these students also participated in the Mechanical and Manufacturing Technologies for Energy and Sustainability Program (MET2), an NSF ATE project grant and RCNGM partner. While in the MET2 Program students work on self-led, interdisciplinary teams of community college and university students to research and create prototypes for industry projects. Students learn professional skills as well as technical skills during the program and present their final prototypes for College of Technology faculty and administration in addition to submitting a final report. Students received their awards from the NSF ATE Co-Lead Program Directors, Celeste Carter and Dave Campbell and were joined by RCNGM and MET2 leadership and faculty. In addition to receiving certificates, awardees were invited to participate in student-only networking sessions, tour the Smithsonian Air and Space Museum, and the opportunity to exhibit their projects during Student Showcases in the exhibit hall. Older PostRCNGM - Proud Supporter of the Maker Movement!